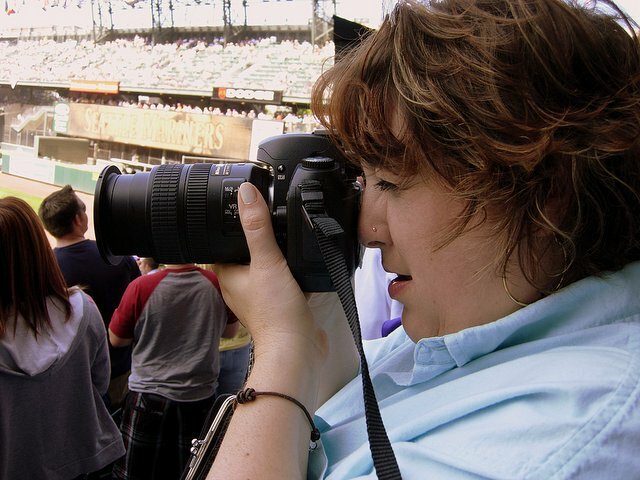 I shy away from the camera like nothin' else, but Shade managed to get this one, without my knowledge, while I was shooting the Mariner's game on Saturday. We had a great time! Were there for DJ's birthday, with the whole family, the beautiful Seattle sunshine and a lazy Saturday afternoon. This is the life!